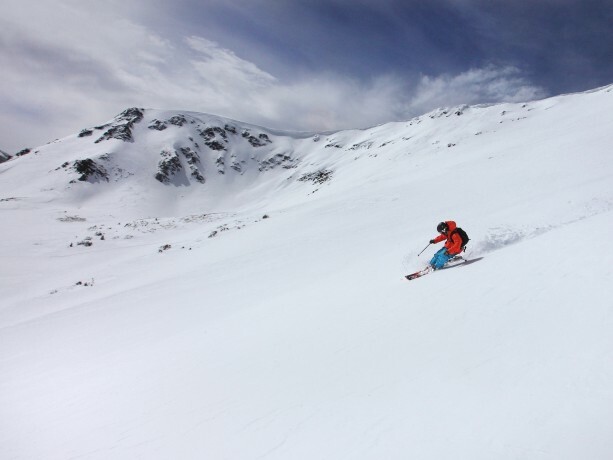 Peak 6 at Breckenridge introduced nearly 550 acres and over three dozen new trails during the 2013-2014 season. Over 1,800 guests submitted trail names that “Awaken Their Sixth Sense” in a contest and 25 were chosen. What are the meanings behind some of these names? Beauty was a common theme but some names suggested spirituality, a state of mind, and of course, sensory experiences. Breckenridge is a beautiful mountain and Xanadu, used to convey an impression of a place as almost unattainably luxurious or beauty, was submitted by Douglas C. His reasoning being “Breckenridge is the definition of this word: a place of great beauty, luxury, and contentment”. Kirk M. felt similarly and his submission, Wonderland was chosen because for a simple reason: Peak 6 is a land full of wonderful things! For many, their “sixth sense” alluded to spiritual experiences that they have when snowboarding or skiing at Breckenridge. Katie G. felt that Sanctuary captured “that perfect moment cruising down the perfect run when everything is in harmony”. Similarly, the basis of a lot of Chinese philosophy, Chi, was submitted by Kelsey. She felt there should be a run where there is “time to center your chi”, your life force. For others, they submitted trail names of states of mind that Breck and Peak 6 put you in. Garrett B. suggested Irie, used by Rastafarians, because it “means being in a state of mind with no worries, just being happy and being at total peace. This is what snowboarding and skiing is for so many people.” Similarly, Reverie and Daydream were chosen to highlight the fact many visitors become pleasantly lost in their thoughts and distracted from the present when on the mountain. For me, I agree with Mark in that Deja Vu is a frequent experience at Breck. Didn’t I already have a great run? Have I had this awesome powder day before? Finally, the main theme of Peak 6: awakening your sixth sense. Eric W. suggested the name Savor which both means to taste and enjoy. For many like Rick H. and myself, we sense Euphoria at Breck, both intense excitement and happiness. Others like Bryan R. suggested Breathless both because of the beauty of the mountain but also the intensity of some of the more advanced runs on Peak 6. Jeff B. took the theme one step further and thought ESP, extra sensory perception, fit well because “it’s commonly used in situations that are hard to describe with normal reasoning”. Most will agree: Breck is certainly an abnormal sensory experience. Are there other trail names you especially liked or have questions about? Let us know in the comments.